According to The Hollywood Reporter, Paramount Network has opted to cancel its Heathers series adaptation before airing a single episode. “This is a high school show, we’re blowing up the school, there are guns in the school, it’s a satire and there are moments of teachers having guns. It’s hitting on so many hot topics. This company can’t be speaking out of both sides of its mouth, saying the youth movement is important for us and we’ve done all these wonderful things to support that and at the same time, we’re putting on a show that we’re not comfortable with,” said Keith Cox, Paramount Network president of development and production. The decision to cancel comes as the show’s premiere had already been delayed in the wake of the February’s mass shooting at Marjory Stoneman Douglas High School in Florida. No second premiere date had been formalized at the time of the cancellation, which was said to have been influenced by the recent mass shooting in Santa Fe. However, Viacom and the creative team behind Heathers, purported to have a second season mapped out, will shop the series in hopes of finding a more suitable outlet. 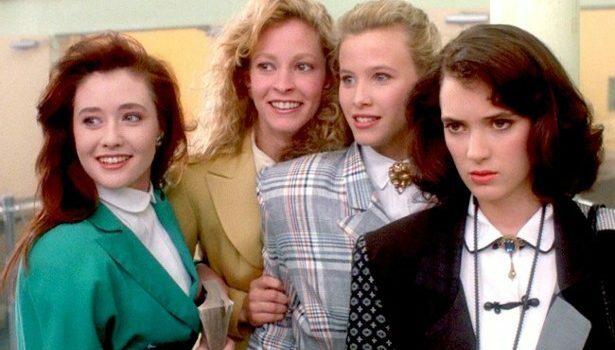 Based on the 1989 cult film that starred Winona Ryder and Christian Slater, with Jason Micallef (Butter) developing for television, Heathers followed “good girl” Veronica Sawyer as she and her vicious group of Heathers wreaked havoc through the halls of their high school. With the cancellation of Heathers, Paramount Network’s scripted slate includes upcoming family drama Yellowstone, upcoming single mom comedy American Woman, and showbiz comedy Nobodies.